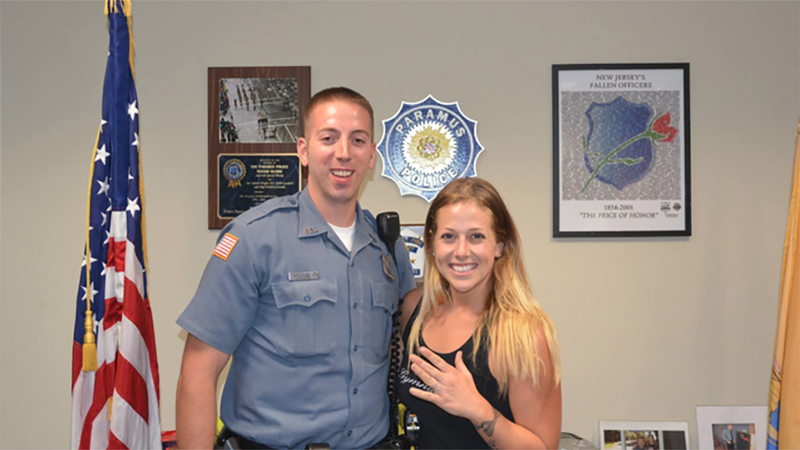 PARAMUS, New Jersey -- A police officer has come to the rescue of a New Jersey woman who lost her diamond engagement ring on a highway while changing a flat tire. Police in Paramus said Kimberly Garcia realized when she got home on Sunday that she had lost her ring after pulling over to change the tire. She went back to the highway that day with police, but they couldn't find the ring. For Officer Jon Henderson, the search wasn't over. He returned to the highway during his free patrol time on Monday and found the ring. The department posted a photo of Garcia with Henderson , smiling with the ring back on her finger.